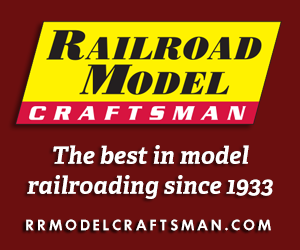 TYCO introduced its HO-scale Alco Century 430 in 1966 and its first train appearance can be found in the company’s 1967-68 catalog. For an advertised, “less than $27.00,” you could have the then-new Alco Century 430 with four freight cars and a caboose and a 45 x 36 inch oval of brass section track. As was TYCO practice in the 1960s, this train set was sold with or without power pack and multiple road names (for locomotive and caboose) were offered. The Alco Century Special (No. T6723) was offered in Burlington, New Haven, and Santa Fe. The originally announced 1966 road names promised Green Bay & Western; Spokane, Portland & Seattle; and New Haven for this four-axle mid-1960s Alco prototype. An illustration of a red Green Bay & Western Century 430 appears on the back of TYCO’s 1966-67 and in the 1967-68 catalog that drawing reappears for separate sale Century 430s. Research indicates TYCO never produced a Green Bay & Western Alco Century 430, nor did the company do a Spokane, Portland & Seattle model. The original collection included the three road names listed for this 1967 train set. You could buy those Alco Century 430 models as fully assembled releases for $14.98 (No. T235) or as a kit (No. K235) for $12.98.